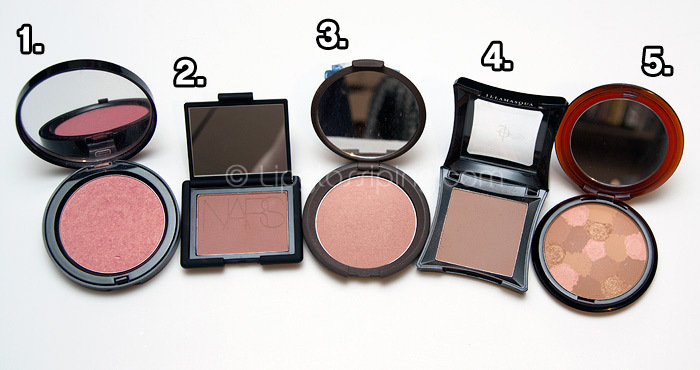 Show and tell… 5 Bronzers for pale, cool-toned skin! For someone who’s scared of bronzers… I own a few. I’ve also ditched many more. The ones that I’ve kept work for me, though not without effort. This isn’t a fault of the products… it’s my unconfidence with application and with wear. The ones that I’m showing you are my current favourites based on their tone. With my (admittedly) untrained eye… they all complement cool-toned skin. I should also point out that I’m not talking bronzer for contouring – these are all the products I use to mostly just warm up my complexion and give it a sunkissed look. Is it a blush, is it a bronzer? Well… it looks a bit like a blush but if Bobbi says it’s a bronzer, who the hell am I to argue? Maui is a warm pink shimmer that’s shot through with golden sparkle. It’s an incredibly easy-to-use bronzer because it never looks muddy and on the rare ocassion that I actually do catch a bit of genuine sunlight… it’s much closer to how my skin would naturally colour than the more traditional golden browns available. Being a limited edition item <–ignore, am stoopid – it’s not Limited Edition! I wasn’t going to include this one. But it’s still available online at HQHair… so I figured it couldn’t hurt? Now… this is a blush (if I’m not gonna argue with Bobbi, I’m certainly gonna agree with Francois!) but on my skintone, this matte blush works very nicely as a light pink/brown bronzer. Although it looks dark in the pan, it’s the 2nd sheerest that I’m showing you. Even I can’t mess this one up. Just perfect. Again, not a bronzer per se, Becca’s PSP in Princess is just lovely. It’s shimmery but not AT ALL glittery… it’s very well behaved and grown up about things. Smooth in texture, it imparts a subtle sun-kissed glow to my cheeks that is never overcooked. Pricey, but worth it. If there were one black sheep in the set, this would be it (being Illamasqua, it had to be the naughty one didn’t it?) The tone is perfect – devoid of any orange… and being so matte, it makes the best contour shade I own. The problem is, that’s not saying a lot because it’s the ‘only’ contour shade I own. I find Rumour a little hard to work with due to it’s heavy pigmentation and it can end up looking a bit muddy. I want to love it and I feel that it’s my inexperience that stops me rather than the product itself. Any tips for this one ladies? Finally, a classic. The sheerest of the lot (and the most expensive!) Blondes is the lightest of the three shimmery bronzer options from Guerlain. I also own the lightest in the matte version but reach for this one more often. I would defy anyone to overdo this… it’s a must-have for pale skintones. I know that all my bronzers are at the higher-end of the price spectrum… but experience has shown me that if I want to rid myself of orange-toned monstrosities, this is where I have to look. Please do comment and let me know if things have improved in that respect on the high street because I’ll be one of the first out the door to go check out a bargain alternative! What are some of your favourite bronzers? For your illamasqua bronzer, try using a stipple brush (or “skunk” brush as some would call it) that is small and soft (not stiff!!) to deliver this color just under your cheekbones and along your jawline. Stiff brushes generally deliver more color and you want to ease this one onto your face. 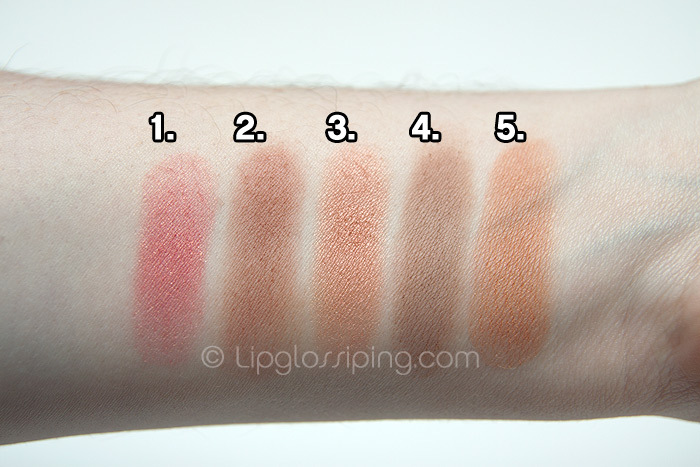 Thank you for your recommendations – I am very fair and yellow (MAC NC20) and I have a really hard time finding cheek color in general because everything turns either orange or some other clowny unflattering color on me. TheMonaLisa-you said you are very fair and yellow NC20 but that confuses me because I thought NW was cool and NC was warm??? Yellow toned is (in all makeup color theory except MAC’s) warm-toned. Pink toned is cool-toned. So in MAC speak, you would describe a yellow-toned skin as needing an NC foundation as it would have a yellow (warm) base to it. I always think of MAC’s foundations as “NW = Needs Warming”, “NC = Needs Cooling”. So I’m as cool-toned (pink) as they come and I’d need an “NW (needs warming)” foundation to match my skintone. for the really pigmented bronzers move to a fluffier less dense brush and pick up less to diffuse it more. Just Five Minutes of your time, please. Cetaphil now available in Boots! Chips for tea? Yep. Swede ones!